Conceptually, I knew what breastfeeding was about, but from a practical standpoint I didn’t realize just how isolating the process would be for Kathleen. My wife is in breastfeeding solitary confinement, and there isn’t a lot I can do to spring her loose. It is a tough row to hoe, breastfeeding, but Kathleen is committed to doing it. 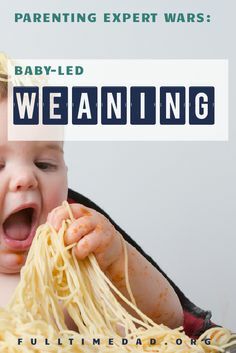 Good thing, too, because this method of feeding1 requires a level of fanatical dedication that I don’t think I’ve shown toward anything, ever. The process has reduced Kathleen to a round-the-clock, on-demand milk delivery service. Given how frequently TD feeds, Kathleen has worked through it with relative aplomb. And yet, breastfeeding is taking a toll on Kathleen. TD feeds about every two to three hours throughout the day and night, which means that Kathleen is the one getting up at 1:00am, 3:00am, 5:00am to nurse TD for 20-30 minutes. That’s the best-case scenario for the night, too. Some nights– usually when Kathleen is ready for some sleep– TD will want to feed several times in an hour. It’s hard to tell when these cluster feeding sessions will end, because TD’s finishing cues are largely the same after every feeding. As a result, we get faked out a bit and put her in her bassinet believing she is down for a stretch of sleep. Her awakening doesn’t happen instantly, either. TD has some sort of magical baby power of waiting juuuuust until we’re drifting off to sleep before bellowing out one of her cacophonous screams. The uncertainty of when a cluster session may end drives us bats2. It probably goes without saying that my role in our overnight routine is the easy one. TD cries, I spring up to check her diaper3, then hand her off to Kathleen to nurse. Once TD is clean and dry, I am able to flump on the bed and go back to sleep. Usually after her 3:00am feeding TD isn’t ready to head right back to sleep; Kathleen will hand her off to me and roll over to sleep until the next feeding4. You may assume that I feel “lucky” that, due to my inability to lactate, I get pretty close to a full-night’s sleep. Not the case. I feel a great deal of sympathy, often guilt, that Kathleen is putting herself through this and there’s very little I can do to lighten the load. The obvious answer for me to help is for Kathleen to pump extra milk. Theoretically, Kathleen can pump in the morning so that I can have at least one feeding-worth of milk to pick up some slack overnight. Problem is, Kathleen is headed out of town for five days in September, so we need build a store of milk for that trip before I can tap into any milk reserves for an overnight feeding. We have conservatively calculated that we need 160 ounces of while Kathleen is gone. She can pump around six ounces a day without feeling like a one-woman dairy farm, so we’re looking at 27 days of pumping before a morning pumping session can supply milk for me to feed overnight. This is part of the inherent unfairness of our circumstance. While baby formula offers an ostensibly easy solution to this particular problem, we have committed to breastmilk for the time being5. Kathleen’s trip is business-related– a major reason why I am staying home to take care of TD is specifically so Kathleen can expand her business opportunities so she can support our family financially. So, yes, these issues are self-created. We could feed TD formula6. Kathleen could forgo her business trip so we could attend to TD overnight in tandem. But we have made the decisions and must act accordingly. For now, and for the better part of the next month, I have to sit idly by and watch Kathleen struggle overnight, pitching in when I can, but knowing I am the one getting the better end of the deal. As much as I appreciate being well-rested during the day, it’s hard to watch my wife struggle night-in/night-out. Especially during the first few months of life. Fortunately this only happens once or twice a week. Much to my surprise our overnight sleep schedule is quite predictable when TD is not cluster feeding. Always in need of a change. This alert period is the one thing I feel useful for during our overnights. I’m happy to be able to relieve Kathleen for something. While I am reasonably skeptical of the endless list of benefits that breastfeeding purportedly offers over formula, I do think there is some veracity to the idea that breastfeeding does some things that formula can’t. Still, I think the benefits of breastfeeding are oversold. If you can do it, great, but there are real tradeoffs to breastfeeding. I do try to talk Kathleen into this periodically.